Do UNDERHOOD™ or Direct-Transmission Air Compressors Void Vehicle Warranty? Does An UNDERHOOD™ or Direct-Transmission Mounted Air Compressor Void My Vehicle Warranty? For those looking for a one-word answer, it’s no. UNDERHOOD™ and Direct-Transmission Mounted air compressors do not void a vehicle manufacturer’s limited warranty on new trucks or vans. Both Canada and the United States have laws that protect consumers’ warranties when using aftermarket parts and ensure manufacturers are staying true to their warranties. Air compressors that use PTO or engine-driven systems are considered aftermarket parts and, therefore, are covered by these laws. The Magnuson-Moss Warranty Act is a federal law that was created in 1975 to protect consumers from companies that may not want to follow through with their warranty. The law embodies the attitude that you don’t need to have a warranty but, if you do, then you’d better make good on it. Under the Magnuson-Moss Warranty Act, the burden of proof is on the manufacturer’s dealer to show that the aftermarket equipment caused the need for repairs before denying warranty coverage. In the context of UNDERHOOD™ air compressors, a truck manufacturer like Ford or Chrysler would have to prove that the air compressor itself caused the vehicle or part to fail. 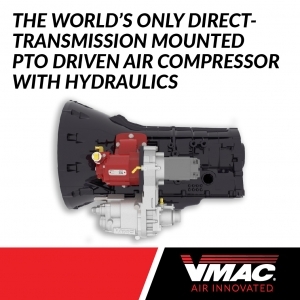 VMAC Direct-Transmission™ Mounted and UNDERHOOD™ air compressors are built for specific trucks and applications, and that’s deliberate. VMAC engineers work with vehicle manufacturers before the release of their new trucks and vans to determine the optimal mounting locations of compressor components on any given vehicle. 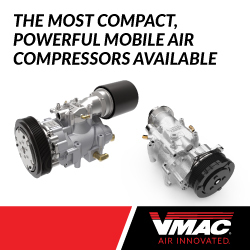 If VMAC can’t find a reliable way to install an UNDERHOOD™ or Direct-Transmission™ Mounted air compressor that protects you and your warranty, they don’t offer the air compressor for that vehicle. It’s that simple. It’s a common misconception that Canada has a blanket consumer protection law that’s similar to the Magnuson-Moss Warranty Act, but that doesn’t mean consumers have been hung out to dry. Individual provinces have created their own laws to help protect consumers and ensure warranties are enforced. In addition, major manufacturers all have Canadian warranties that are similar to their U.S. counterparts. 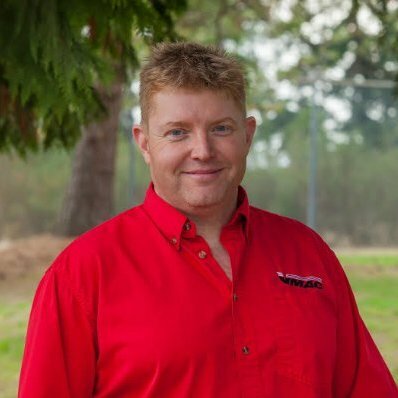 Manufacturers know that consumers are purchasing their trucks and modifying them into service vehicles and they wouldn’t risk losing clientele over unreasonable warranty restrictions. “What is Not Covered Under this New Truck Limited Warranty? Non-Ford parts installed after the vehicle leaves Ford of Canada’s control and causes a Ford part to fail. Each province and territory has consumer protection laws that ensure manufacturers are following these warranties and staying true to their word. Manufacturers who provide a warranty are essentially guaranteeing the products and services that are included, and they do so voluntarily. Warranties are not required! Therefore, a warranty is a written guarantee that obligates the manufacturer to follow through, even if you’ve installed an UNDERHOOD™ or Direct-Transmission Mounted air compressor. Installing a VMAC air compressor? Register your warranty here.